Heat loving okra has been cultivated for centuries, as far back as the thirteenth century where it was cultivated by the ancient Egyptians in the Nile basin. Today, most commercially grown okra is produced in the southeastern United States. 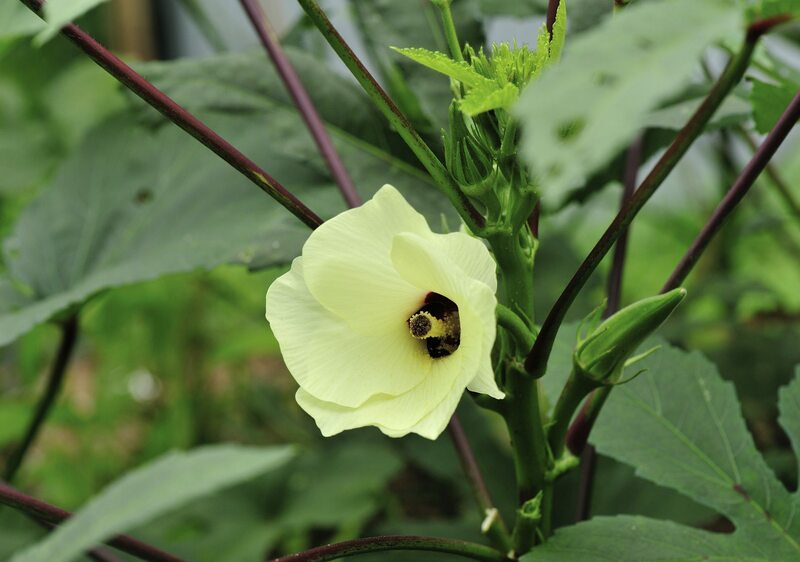 Even with centuries of cultivation, okra is still susceptible to pests and diseases. One such disease is leaf spot of okra. What is okra leaf spot and how can okra with leaf spots be managed? Read on to learn more. What is Okra Leaf Spot? Spots on okra leaves may be the result of several leaf spotting organisms, among these include Alternaria, Ascochyta, and Phyllosticta hibiscina. For the most part, none of these have been shown to cause any serious economic loss. No fungicides are available or required for these diseases. 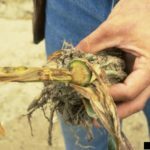 The best way to control okra with leaf spots caused by these organisms is to practice crop rotation and utilize a consistent fertilization program. 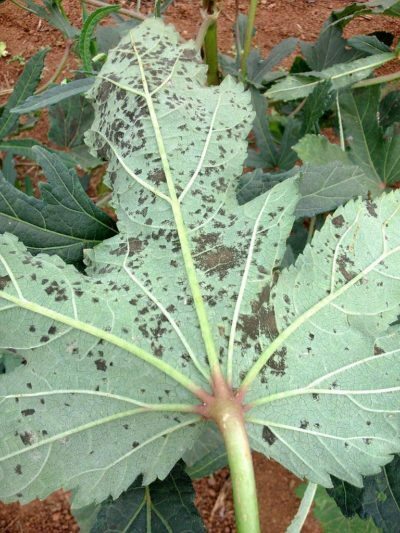 These are not the only pathogens that may be responsible for okra with leaf spots, however. Spots on okra leaves may also be the result of the pathogen Cercospora abelmoschi. Cercospora is a fungal infection wherein spores are carried by the wind from infected plants to other plants. These spores adhere to the leaf surface and grow, becoming mycelia growth. This growth is present on the undersides of the leaves in the form of yellowing and brown spots. As the disease progresses, the leaves become dry and brown. Cercospora survives in plant residue left from hosts such as beet, spinach, eggplant and, of course, okra. It is favored by warm, wet weather. The most serious outbreaks occur after a period of rainy weather. It is spread by wind, rain, irrigation, as well as mechanical tool use. To control the spread of Cercospora leaf spot, remove and dispose of infected leaves. Once the infected leaves have been removed, spray a fungicide on the underside of the okra leaves in the afternoon. Always practice crop rotation, especially for subsequent host crops. Control weeds that harbor the disease. Plant only high quality certified seed.